A whole generation who never told their stories, but they would never have forgotten them. Last edited by granny; 19th Aug 2017 8:04am. 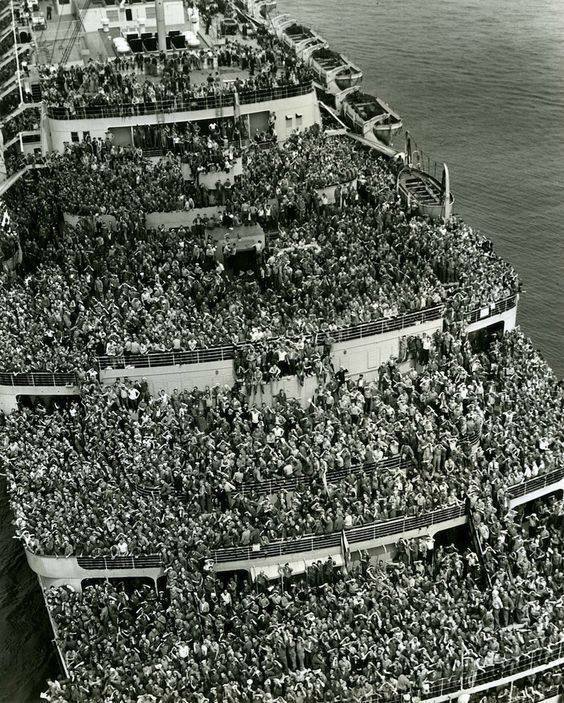 My grandmother was on board for many of these trips according to her discharge book, sadly all records of troop ships where destroyed in 1951 records are gradually being put together. In those days, cruise liners looked like ships. Today, they are like horrible boring blocks of flats plonked precariously on top of a hull and to my eye anyway, look absolutely vile. Was your grandmother a nurse, Saltytom ? Thirty years ! I had a Gt. aunt who worked on the Mauretania as a nurse,sometime between the wars. She loved the life, although circumstances had forced her into it initially. Your grandmother must have had a strong character to be amongst those young and battered men, and to be sailing the seas during such a time. I worked on the Irish crossing during the Irish troubles. That was bad enough . Young lads travelling across with their unit. Vomit everywhere !! Last edited by granny; 21st Aug 2017 9:07am. I think if she were still alive she would say her religion/faith helped her she had spoken of becoming a nun when she was young.